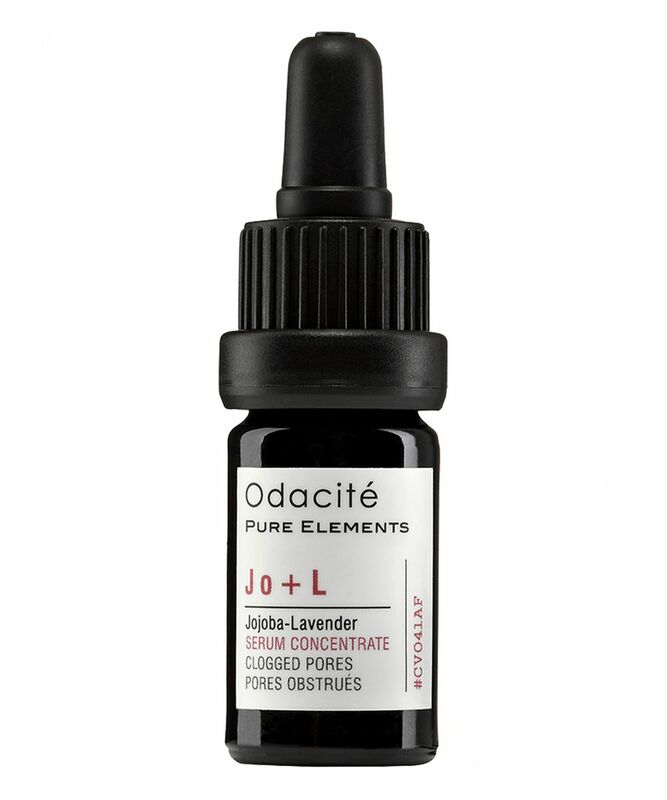 Odacité’s innovative Clogged Pores Serum Concentrate binds to embedded sk-impurities and sebum blockages, to help flush out toxins and minimise the likelihood of blackheads and blemishes. Most like sebum in its chemical composition, jojoba oil helps to normalise skin’s oil production – re-establishing equilibrium to help prevent excess and subsequent build-up – while lavender’s exceptional anti-bacterial properties help to fight the micro-organisms that can contribute to skin imperfections. Calming and comforting, this makes a beautiful addition to your evening skin care ritual – either as an intensive treatment, applied directly to clean skin – or blended with your night cream, to intensify its reparative and purifying benefits. 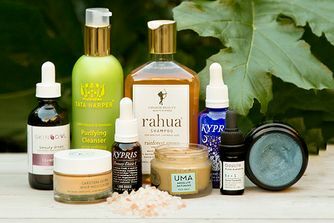 This is also a wonderful potion to keep in your bathroom cabinet – to help counteract those rogue, hormonal breakouts, or ease your skin effortlessly through unexpected rebellions. Developed to respond to skin’s cycles and fluctuating ‘rhythms’, Odacité’s pure, pressed skin boosters contain only the finest, unadulterated plant seed extracts and essential oils, to address the changing needs of your complexion and correct existing signs of wear-and-tear. 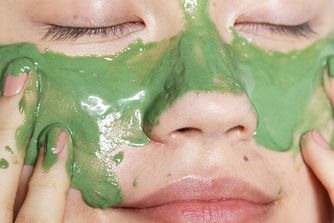 Brimming with vitamins and nutrients, each potent vial of concentrated essence can be worn alone, layered under moisturiser, or mixed and matched to concoct a bespoke skin solution – targeting blemishes, dullness, hyperpigmentation (the list goes on…) – or several different skin complaints at once. Lightweight and readily absorbed, these precious oil-serums penetrate deep down within skin tissue, where they optimise cellular function and repair sites of damage, to transform the health, strength and vitality of your visage. And they look rather beautiful – housed in medicinal-grade violet glass to preserve the integrity of the ingredients, without need for chemical additives. Alternate or blend from the collection of Serum Concentrates to target the specific needs of your skin. 1. Daily Skin-Booster: Twice Daily In the palm of your hand, mix 2-3 drops into your daily dose of crème. 2. Intensive Treatment Massage a few drops into clean dry skin. For extra hydration, first dampen skin with one of your favourite facial mists, then apply a few drops to wet skin. I received a sample of this in a recent order. I usually use face oils but nothing compares to this for me, simply because I have recently developed oily skin with clogged pores and this works a treat. Plus is all natural products. My skin looked flawless and I only had to use the smallest amount. I have now purchased the full size with the recommended Gr+G. I use two drops of each combined and pat it in to my skin without mixing it with any other product. I'm unsure as to why other people find they use it up very quickly as only very little is needed as it's concentrated. 4 drops is possibly even too much for one application. It's amazing. I really wanted to like this product, because of the concept and it also smells really nice. Unfortunately it did not make a big difference to my oily / clogged skin. Also, the bottle is tiny. After using the whole bottle, i found it had no benefit to my skin. It also lasted me less then 2 weeks due to containing hardly any product. The only reason it got 2 stars was because it smells really good! My skin has honestly transformed in the last week of using this. This is in my life forever now. Really good, but not enough of it! I've gottten this oil twice and it's been great although it only lasts at most a few weeks. It's unclogged my pores and taken care of my breakouts while leaving a subtle glow. I just wish they made larger bottles with a slightly more affordable price. Just read Connie's review. Apparently, some people can be allergic to Jojoba oil and I have the same reaction as her. Pimples on the chin and around mouth and nose area. Hard to get rid off if I keep using the product. Not saying the product is not good, but check first if you have sensitive skin or allergies to Jojoba. I don't feel that this unclogged my pores or even regulated sebum balance really. My skin is definitely clearer since using this! It has a lovely relaxing lavender scent, and my skin feels cleansed and purified. It helps balance and reduce an oily t-zone as well. I have some annoying spots around my mouth and on my forehead which never come out into white/black heads but I can feel them under my skin. Have tried so many things but failed to get rid of them, including this oil. It definitely helps reduce oil in t-zone but unfortunately those pimples are still there.